Apple's stunning first quarter of fiscal 2015 blew virtually every prediction out of the water, and left Wall Street analysts rushing to increase their price targets on Wednesday as the stock jumped higher. Apple sold a record breaking 74.5 million iPhones in the December quarter, propelling it to $18 billion in profit over the three-month span. That's the most profit ever reported by a publicly traded company— nearly enough to buy three Nimitz-class aircraft carriers priced at $6.2 billion apiece. Given Apple's astonishing success for the holiday frame, Wall Street analysts reacted by raising their estimates and price targets for the iPhone maker. A summary of their reactions follows. Apple's "quarter for the record books" prompted analyst Katy Huberty to increase her price target to $133, up from $126. She also revised her calendar 2015 estimates to predict sales of 218 million iPhones at an average selling price of $651. As for Morgan Stanley's "bull case" scenario, the investment firm could see shares of AAPL going as high as $150 if the company's larger-screened iPhones were to drive more mobile share gains, and the upcoming Apple Watch were to exceed expectations. Morgan Stanley, Evercore, UBS, RBC, BMO, Wells Fargo & Cowen all increased their AAPL price targets this week. Driving home how big Apple's quarter was, Huberty noted that this week's revision is the largest post-earnings reassessment since 2011. 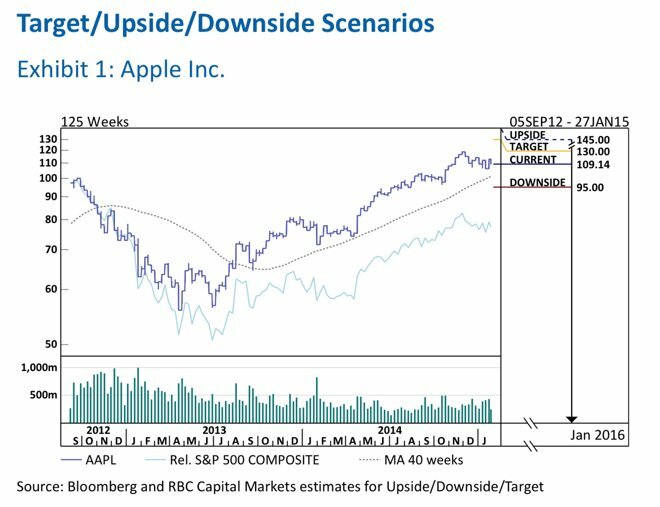 "Apple topped the most bullish expectations but more importantly, demand/ASP/margin trends appear sustainable and drive the largest estimate increase in several years," Huberty wrote. Analyst Rob Cihra also raised his price target on Apple following Tuesday's earnings print, seeing shares of the company reach $140 within the next year. His previous target was $135. Cihra took note of the $687 average selling price of the iPhone —an amount that is now more than 2.5 times greater than the overall smartphone market's average. The analyst predicts that Apple will reaccelerate growth this year, predicting that revenue will increase 24 percent year over year in fiscal 2015. In comparison, Apple grew revenue 7 percent year over year in fiscal 2014. 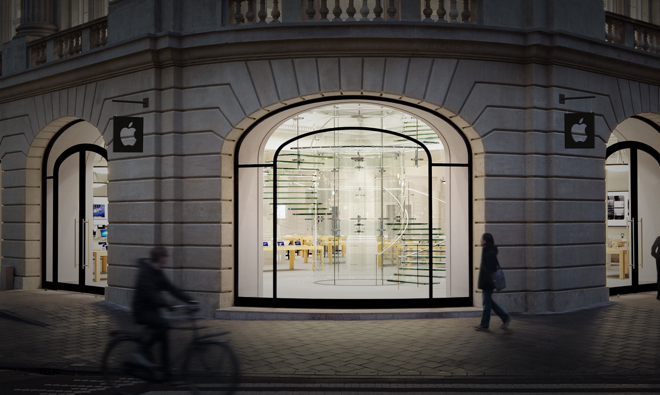 "Seems like the whole world wants an iPhone," analyst Steven Milunovich wrote reacting to Apple's December quarter. He was especially impressed that Apple managed to sell 74.5 million iPhones in spite of the fact that the company couldn't meet supply-demand balance until January, after the quarter ended. Given the average selling price of the iPhone and gross margin of 39.9 percent, Milunovich estimates that the jumbo-sized iPhone 6 Plus accounted for about 30 percent of total iPhone units sold in the quarter. UBS also increased its price target to $130, up from its previous prediction of $125. 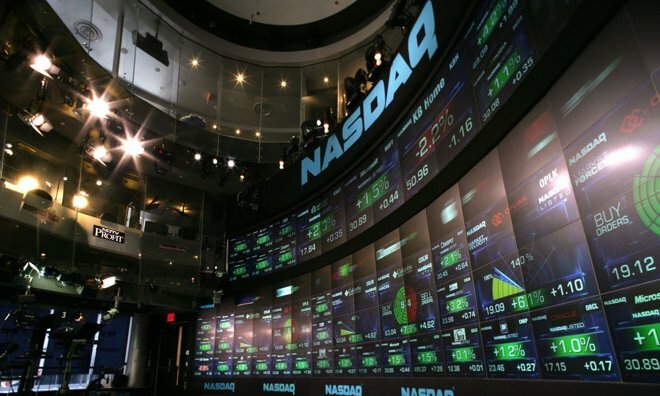 Analyst Amit Daryanani has also increased his price target to $130, up from $123. 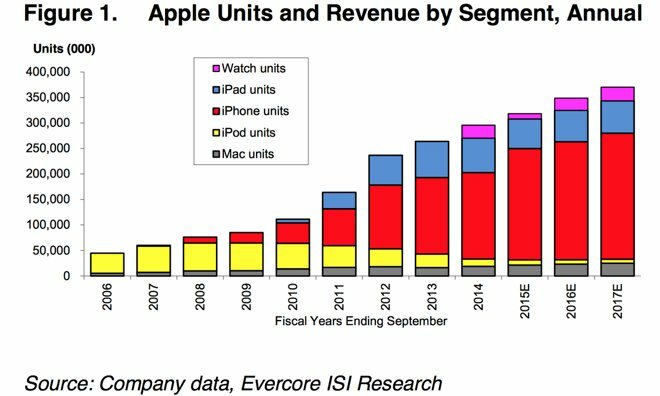 Apple's quarter was so big that Daryanani said he had to increase his cell widths and chart heights to fit all of the numbers. Even with the astounding quarter, he sees a number of factors that could take Apple's stock even higher, including potential upside in the March quarter, the upcoming launch of the Apple Watch, and an update on the company's capital reinvestment program in April. Regarding Apple's share buyback program, Daryanani believes Apple could commit to repurchase more than $200 billion shares over a three-year period. He called Apple's capital allocation policy a "meaningful positive" for investors. 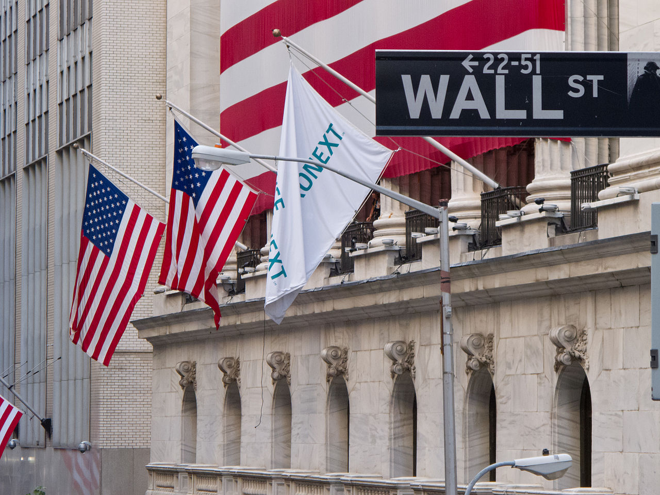 The New York Stock Exchange, credit Carlos Delgado via Wikipedia. 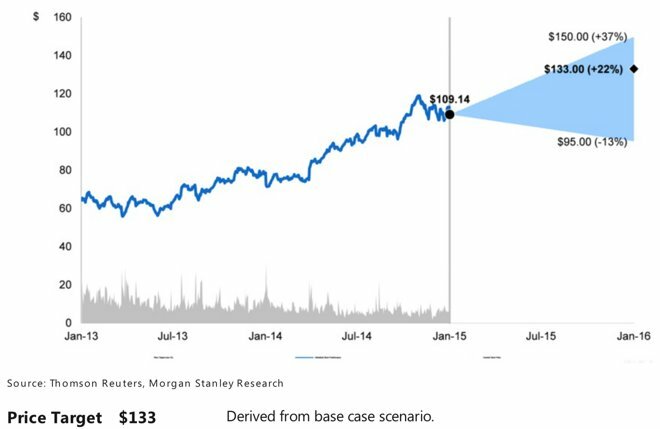 Joining others at the $130 price target is analyst Keith Bachman, who previously had a projection of $123. To him, the most interesting comment on the call was the fact that only a fraction of Apple's existing installed base has updated to the latest iPhone models. Though the total installed base of current iPhone users is unknown, Bachman said the comments by Apple suggest there is plenty of room to grow for the iPhone 6 upgrade cycle. "Such a large installed base, with low upgrades to date, suggest the potential for strong iPhone sales in the next several quarters," he said. One analyst who didn't need to revise his price target this week was the bullish Gene Munster, a longtime Apple proponent. He's maintained a target of $135 with an "overweight" rating for shares of AAPL. Following Apple's earnings, Munster reiterated his belief that investors should worry less about Apple's product cycles, and focus more on the fact that the company has cultivated a loyal and devoted customer base that will continue buying its products. "Apple is building and creating an annuity (90% plus iPhone re-buy rates) with customers that upgrade multiple devices over many years," Munster said. Two more investment firms did update their price targets following Apple's print, but as of Wednesday morning trading, they're already underwater. Noted Apple bear Maynard Um of Wells Fargo Securities upped his "valuation range" to between $105 and $115, below Apple's trading price north of $116 as of Wednesday. He has also maintained his "market perform" rating, expressing concern over tougher comparisons ahead and a reliance on upgrading its existing installed base. Cowen and Company also set a new price target of $115 on Wednesday, a slight increase from its previous projection of $113.